In June 2015, I ventured on a 3-week solo hike along Northern Spain starting in Irún (Basque Country) and finishing in Oviedo (Asturias). 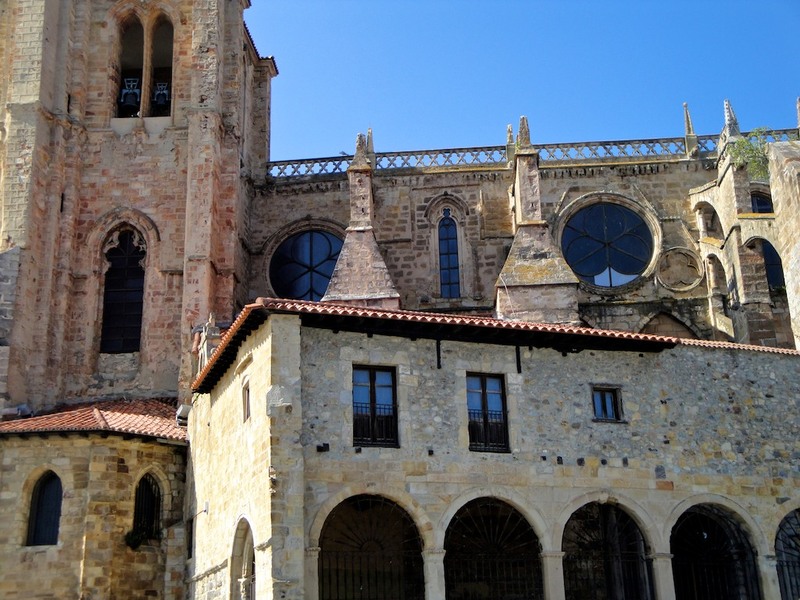 This is the second post in my Camino series – click here if you missed the first post! I had been on the road for 8 days and was in serious need of a good night sleep and a long hot shower. I had survived the hardest bit (or that, at least, I kept on repeating to myself). As long as I had a good night sleep, I could be back climbing hills and mountains. I allowed myself the luxury of sleeping in a design pension in the heart of Castro Urdiales. It was Friday night and the city was buzzing with live and laughter. Not that I saw any of it – I was soundly asleep. After spending 12 hours in bed, I was ready to explore Castro – its beautiful cathedral, lively old town and port as well as its beaches and natural pools. I wasn’t ready to leave yet. This would be the place I would stay for two nights. It never felt wrong – in contrary, it was incredibly right in so many ways. This extra time allowed me to recover from my lack of sleep, heal some rough patches on my feet and just spend the rest of the day on the beach! Then, on the tenth day, I was back on my foot. Some days felt longer than they seemed to be on paper. I never had a proper GPS tracking my position, but I am pretty sure that our walk from Castro Urdiales to Laredowas significantly longer than the 30km stated in the Guidebook. This day, I learned about the many different things can that make a long hike more entertaining: singing (musicals, if possible), finding shapes and patterns, stopping to talk with other pilgrims and locals, creating photo themes, petting every animal that accepts your affection, and getting off the regular path every now and then to see what’s up that hill / down that road (and figuring out how to find your way back to the Camino after that!). At the end of the day, I had a myriad of photos taken fom unlikely angles and suffered from a funny limp (I might or might not have occasionally skipped to the soundtracks of Mary Poppins and The Wizard of Oz – while carrying over 12kg on my back). But hey, it was a gorgeous walk! 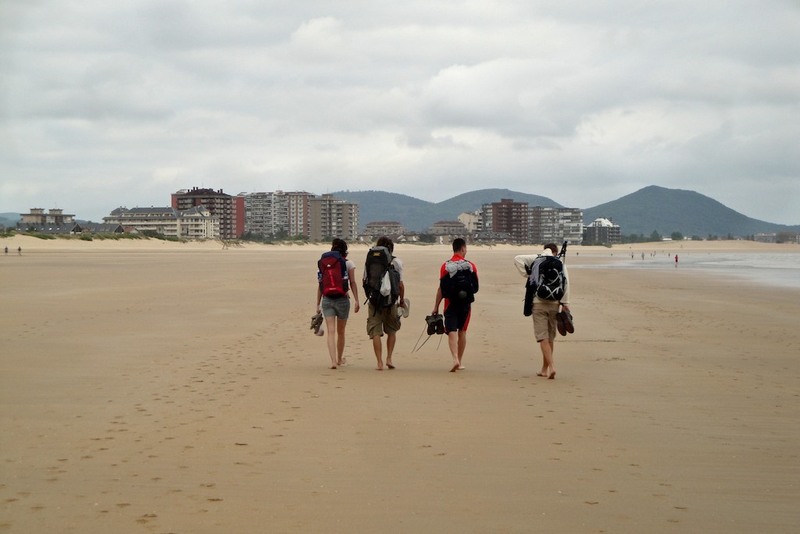 On day 11, about half of the time we walked from Laredo to Güemes, we were barefoot digging out toes into the sand. It felt like heaven to my feet (and my eyes, too!). The other half, however, was spent on asphalt – which (specially on hot days like these) felt like hell. At the end of the day, we were rewarded with one of the most inspiring stays on the Camino del Norte: a night at La Cabaña del Abuelo Peuto. 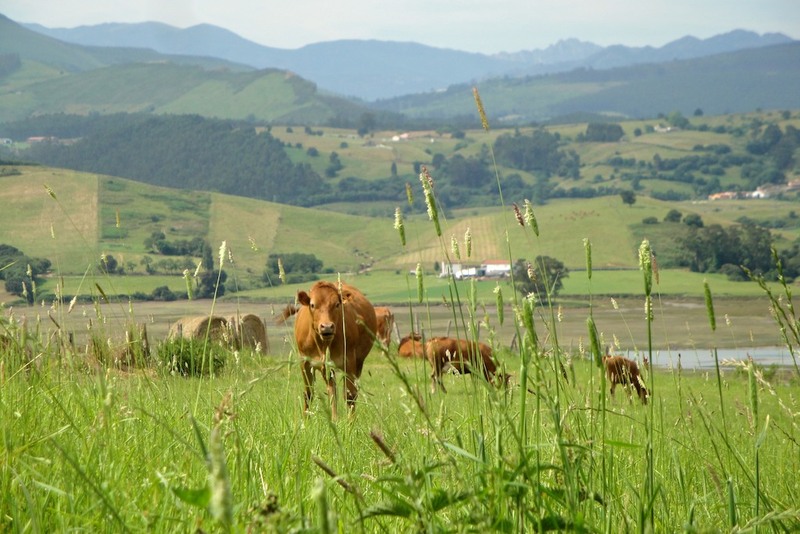 Here, we learned about the life and work of Ernesto Bustio – who is well known throughout the Camino del Norte for his hospitality, generosity and sympathy. Note: You can read more about here: Ernesto Bustio, peregrino de la vida (in Spanish). Oh, and we also met his adorable dog! We made many stops along the way – and even went swimming! (I’m blocking out the fact that the water was probably on the same temperature level than, say, England *shudder*). 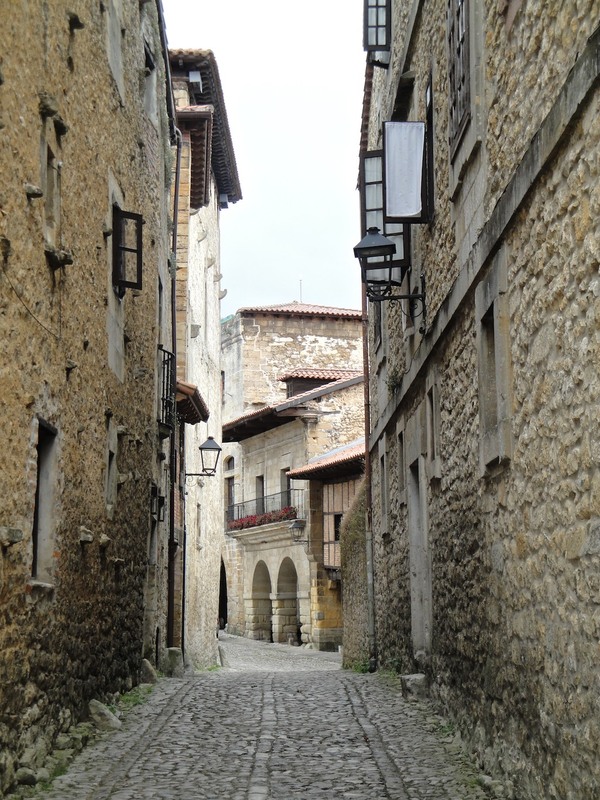 On the next day, we made our way out of Santander to Santillana del Mar. Now, you may remember that, in the Basque Country, I made a few executive decisions to skip small bits that weren’t particularly beautiful. 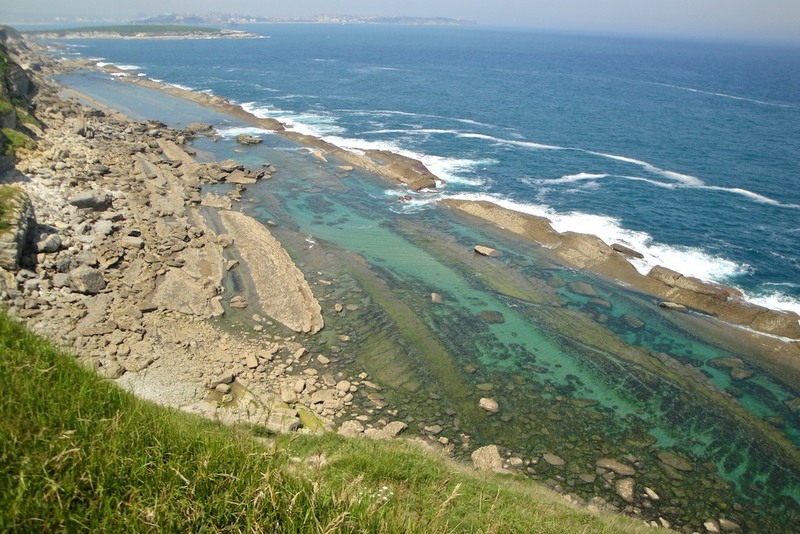 Well, I kind of wish I had done it here, too – but when I realised I was in the heart of the industrial outskirts of Santander, it was too late. Thankfully, our arrival at Santillana del Mar made up for the otherwise a bit dull walk. The medieval village is filled with half-timbered houses and stone-built mansions that meet on the centric cobblestone streets. Yes, it’s touristy – But hey, it’s pretty, too. 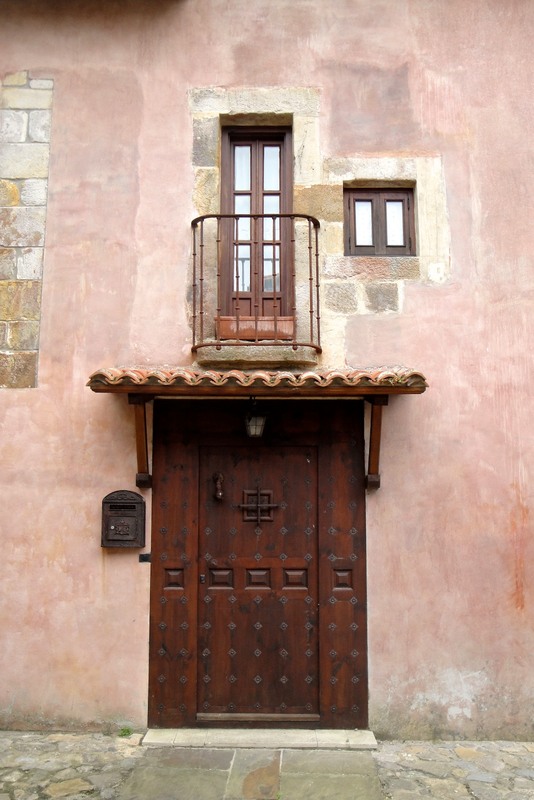 It reminded me a bit of Peratallada (Catalonia)! This night, on day 13, we stayed at what soon was referred to as our Castle – a renovated 16th century palace set in the heart of the village, converted into a private Albergue called Solar de Hidalgos. You guys, totally worth it! Anyway, by now I realised that I’ve never given much detail about my Camino family. Admittedly, to any outsiders, we were a rather unlikely tribe. Nomads, teachers, students, hippies, believers – you would say we would easily run out of common topics, but it never happened. One of the best things about being part of a little Camino tribe is that we all put our different skills together to benefit the entire group. 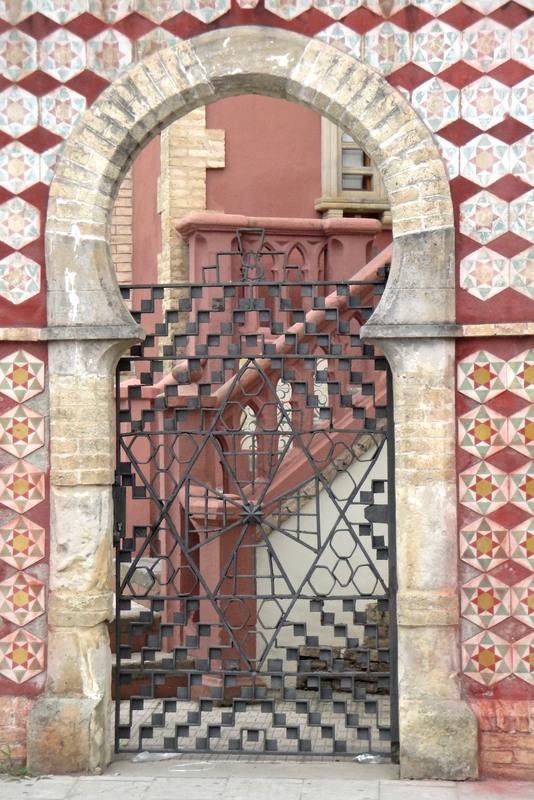 As luck would have it, one of the guys used to be a tourist Guide and has an insatiable interest in history and volunteered to tour us around Comillas after we had settled in. 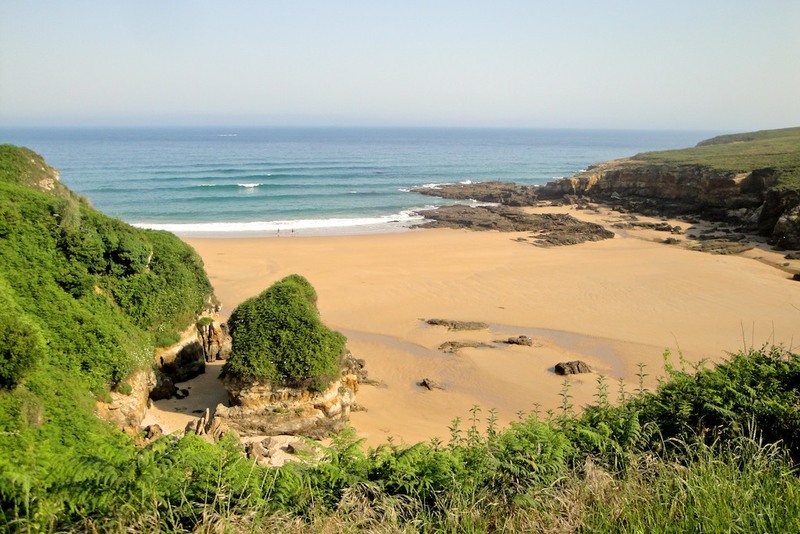 My 15th day was scheduled to be another long one: 29km from Comillas (Cantabria) to Colombres (Asturias) – However,things don’t always go as planned. 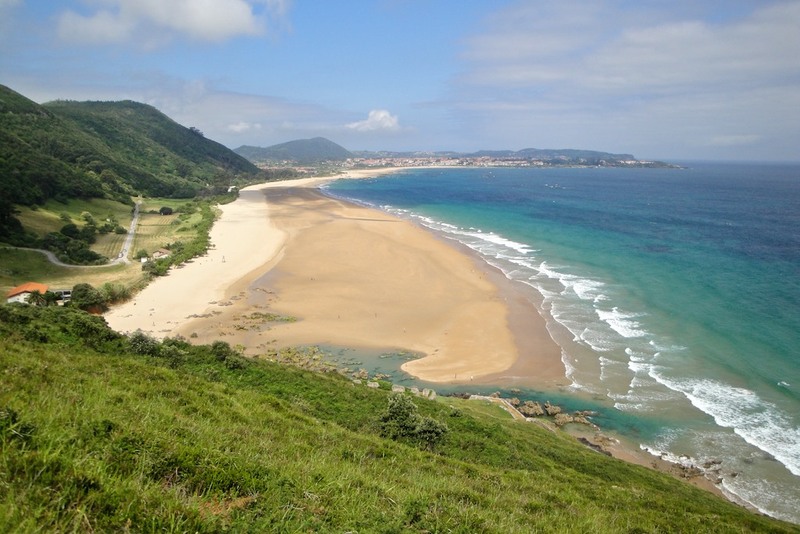 That’s part of the beauty of the Camino de Santiago: even though it’s good to have a plan, it’s good to ditch it, too. 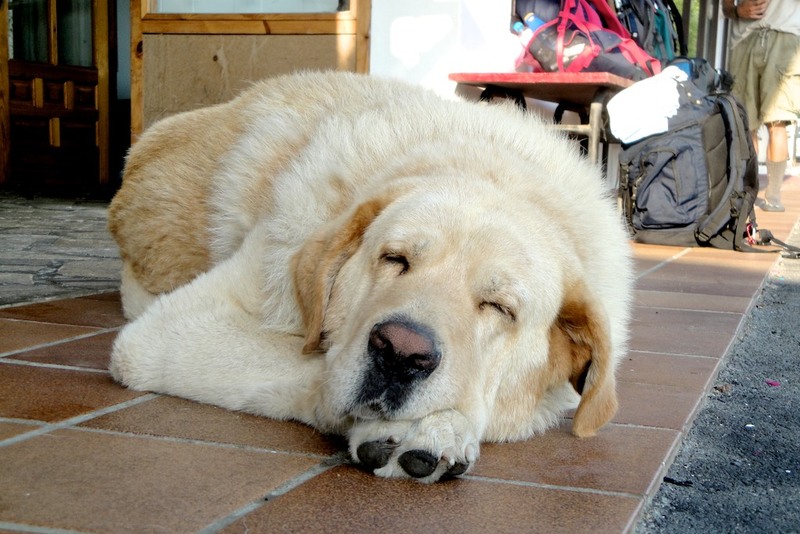 As we arrived at the charming and friendly town of Serdio and met other peregrinos we had been bumping into every other day, we took the unanimous executive decision to change plans and stay in Serdio instead. It was well worth it – even if this meant walking an extra 9km the next day! This was, of course, before checking out next day’s itinerary! 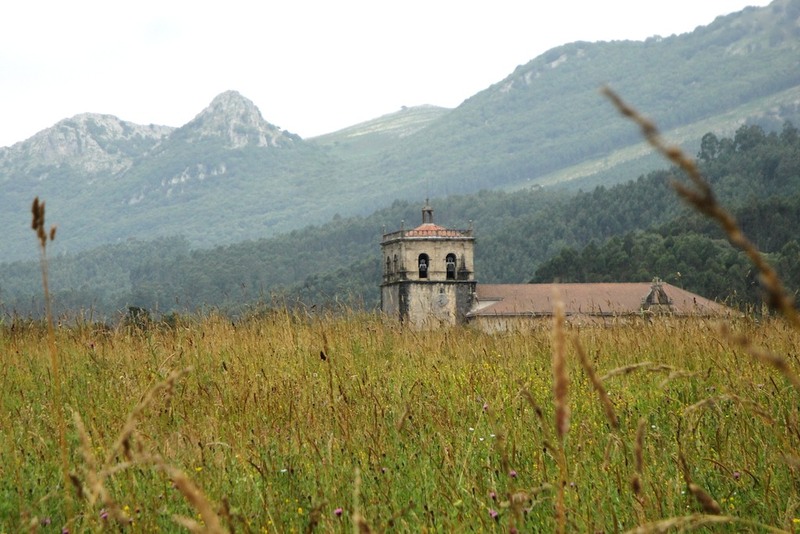 Note: Even though my 16th day started off in Cantabria, the majority of the time hiking was spent in Asturias. If you don’t want to miss the next part, just pop you email below and each new post will magically appear in your inbox – and voilá! 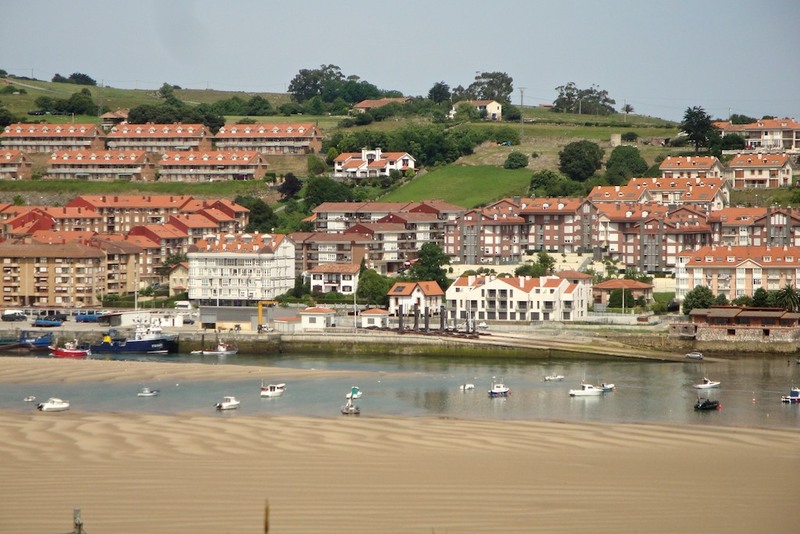 Have you been to Cantabria in Spain? You go girl! This sounds like one epic adventure your on, and so beautiful as well! Oh wow, this is amazing! How do you even get started doing something like this? I’d love to go on a hike like this! It must have been exhausting but so rewarding. Hmm… well usually people do their research, train for some time, buy all their equipment and tickets and set off well prepared! But, even though I did a lot of research, I didn’t really do much of the rest: at the end, it’s a matter of buying the ticket, boots and a backpack and be ready to go – Most of us figured out the rest on our way!